It feels good to be on a roll with this project again. Im determined not to let it creep into 2019, as that year could be a whole new level of busy if 2018 is anything to go by. 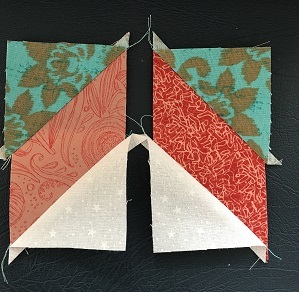 Here are the cutting instructions for the 3D Zig Zag border..
You will need 12 blocks for each row, 24 blocks for the quilt. 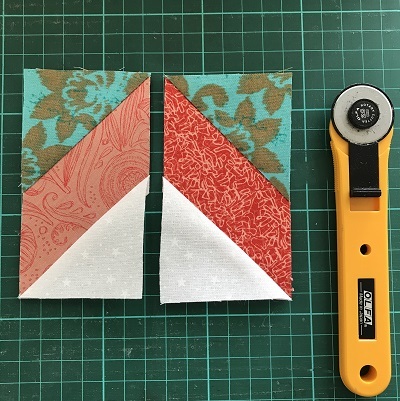 Please take note of the further instruction on how to cut the angled main pieces as you'll need a left and a right for the block. The A pieces are straight forward. see the pictures below for the B and C pieces. 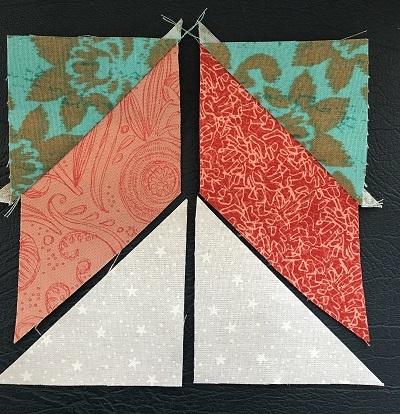 The B pieces will be the darker of the two fabrics if you are making the 3D effect. 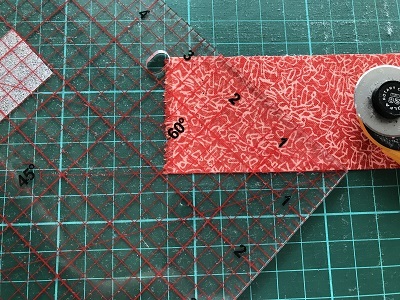 Begin by cutting the strip 1 7/8" inch as in the cutting instructions above - you'll need 2 strips of each colour to yield the 24 pieces of light / dark for the border. 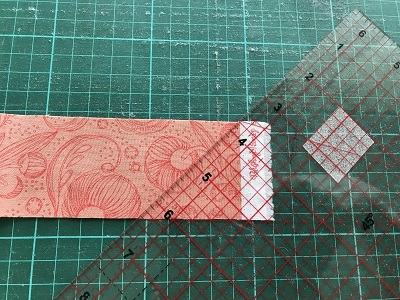 Use the 45 degree marking on your ruler to make an angled cut on the end of the strip, by placing the 45 line on the lower edge of your strip making sure the fabric is the right way up on your mat. 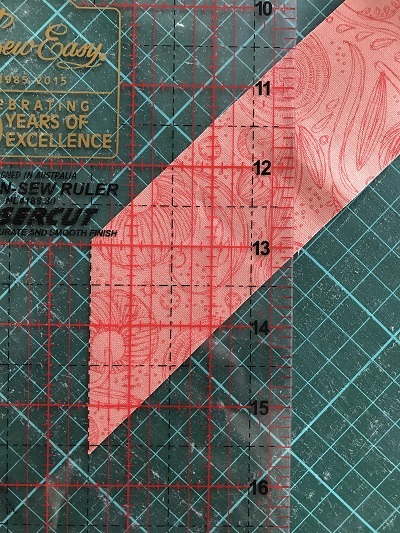 Discard the end piece and use your ruler to cut sections that are 2 1/2" in width. NOTE - the cutting instructions say this piece is 3 1/2", but they refer to the length of the bottom edge not the width of this section. Please cut it at 2 1/2 " as per the picture above. 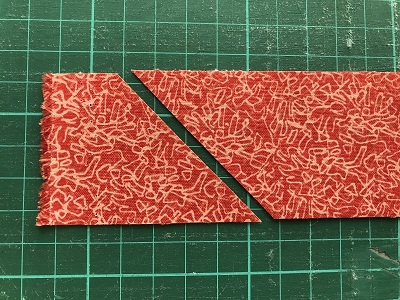 The cutting for the C pieces is the reverse of what you have just done, making sure again the fabric is facing the right way up and you cut from the right edge of the strip, instead of the left edge. 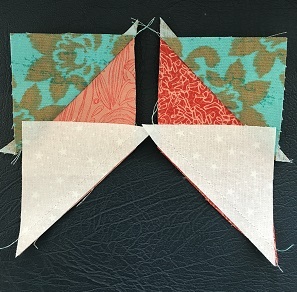 Lay your pieces out and do a test sew of the first block - its always good to know how its going to look before you sew up all your blocks. 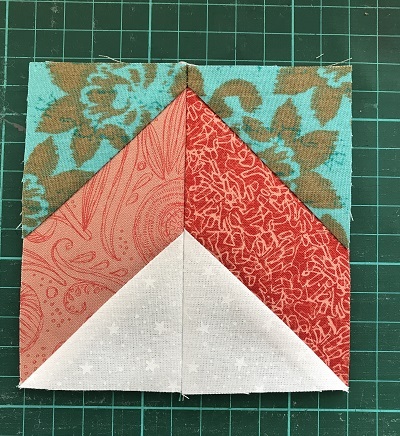 Note the top corners are flush and the "extra" piece overlaps at the outside edge by a 1/4"
Press the triangles back gently so as not to stretch them. 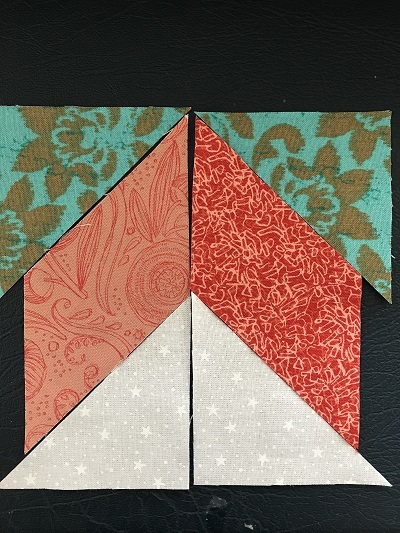 Attach the bottom triangles in the same way except the "extra" fabric is now on the inside edge. 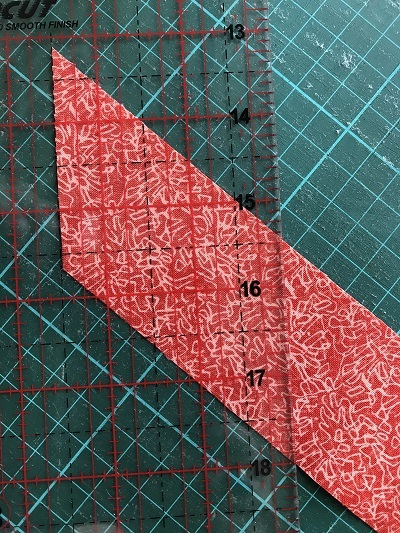 Press again and trim back the block. 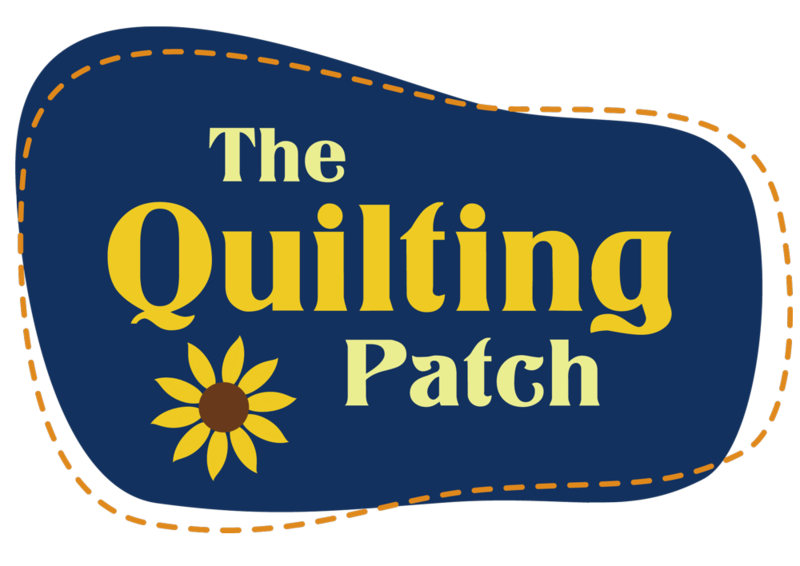 Join the block along the centre seam, matching seams. Continue making your Zig Zag blocks up and then join them into the two rows. 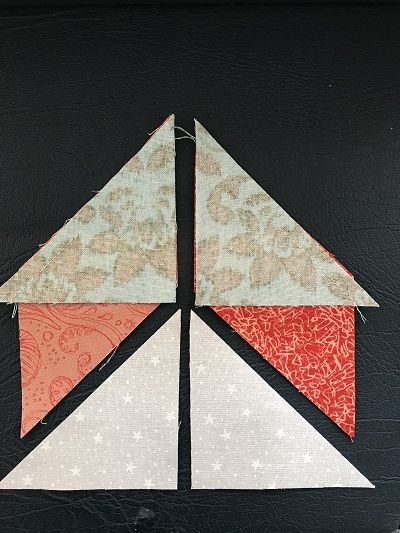 In the next set of instructions we will make the final row and put all of our rows together and add borders if desired. See you then!